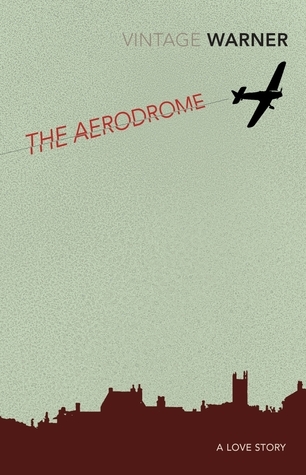 Goodreads review: The Aerodrome | Yeah nah. The Aerodrome by Rex Warner. Rex Warner is these days more known for his translation of Thucydides’ History of the Peloponnesian War than for his fiction. But it’s still worth reading his 1941 work The Aerodrome – one of ten he wrote – because though it’s flawed, it contains an odd power. Indeed, the book has earned praise from both Anthony Burgess and J.G. Ballard. The latter isn’t surprising, as Warner’s writing exhibits the same urban sterility and fascination with process and mechanism that haunts Ballard’s works. While it’s subtitled as a love story, the work is really an observation on the influence of power: particularly the power of the military. It details the insertion of an air force – Warner takes pains to ensure it’s not the Air Force – into a community, and charts the changes it brings. There’s definitely a sort of bucolic prelapsarian air to the village in the beginning of the book, but as the old standard-bearers fall by the wayside – the reverend and the squire – it’s supplanted by a fascist elegance. Rather than standard-bearers of a clean, technological solution to war, as heroism personified, the air force in The Aerodrome is a perverse beast: it’s run by opportunists who are protected even when they murder. There’s a sense that the government lacks the ability or the will to rein in the organisation – indeed, the air force seems to be the highest power in the land, once the squire is out of the picture. There’s very much an air of us and them, and through the plight of Roy – a stand-in for the author, it appears – we observe the transformation of one man from one side to the other. Love does feature in the work, though it’s shown continually as a weakness. There’s a rules against airmen becoming ensnared in romance – though sexual freedom is acknowledged, if not encouraged – and characters who allow themselves to engage in romance are almost certainly marked for doom. Personal connections – family – are worthless to the denizens of the aerodrome, and so the disintegration of such units is charted dispassionately. There’s the sense Warner is bitter, at least about the fleeting happiness of love, and it suits the book’s overwhelming drive towards mechanisation, modernity. There’s a coldness in the middle of these green and pleasant fields that’s unshakeable, unstoppable. The strangeness of the book cannot be maintained, however: it careens more into melodrama the longer it goes on, and then – rather aptly – nose-dives into its ending. It’s disappointing, as the atmosphere of subtle transformation and the uncertain motives that make the bulk of the book’s interest dissipate pretty quickly as the soap-opera quotient increases. Warner’s book hasn’t aged particularly well, but it’s an unsettling read that creates a great sense of place. It fails in creating high drama, but if viewed as an odd piece of portraiture, it’s a moderately dystopian success.